Will this position cause unsafe conditions for operation of the aircraft? Does it impair any flight control full operational movement? Does the mounting location have potential to fall and harm me or my passengers? Will this position impair sight picture or scanning capabilities? Does the mounting position hinder emergency operations including exiting the aircraft? Do you know how to install and remove the mounting equipment without damaging the aircraft? Did you review the space requirements and limitations with the mounting equipment and choice of video equipment when attached? A recommendation is to start with interior setups and locations that are simple and either out of sight or on the other side of the interior cabin. This will force you to just set it and forget it. The placement learning phase will result in you finding the best locations that work with your flight parameters while reinforcing a habit of avoiding distraction by operating the recording equipment. Remember: AVIATE — NAVIGATE — COMMUNICATE. As stated before the best way to start is with a simple one camera setup and then advance from there. Here is an example of a seven camera setup. Please note the customization of the mounts as well as the restricted exterior visibility created from these vantage points chosen. 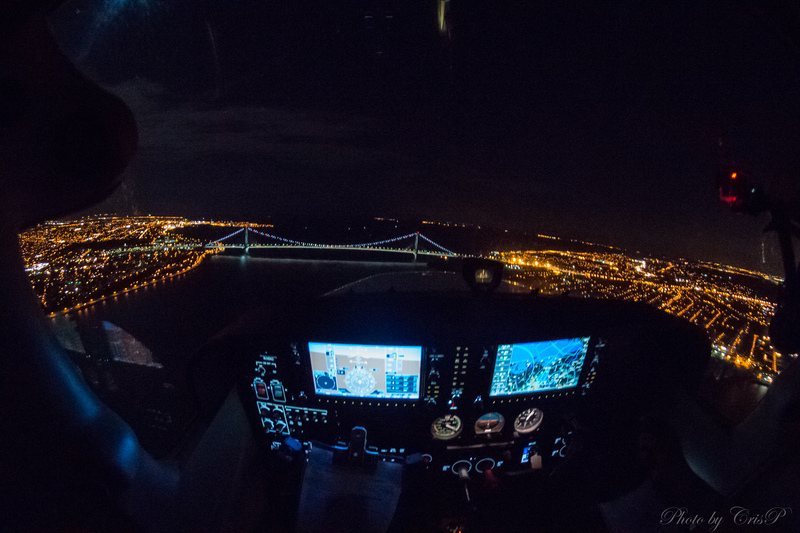 Always factor in your personal minimums and ability as a pilot before adding additional equipment in the cockpit that may obstruct normal operations or cause a distraction both for interior and exterior. The exterior placement of your recording equipment unlike interior has several more considerations, especially with airworthiness and safety regulations. For more information on Airworthiness regulations please view this FAA link and review all applicable categories for you location. For example if you have a camera on the wing strut of a Cessna, review the following: airframe requirements, mounting equipment limitations, and most importantly mounting redundancy should your primary point get loose. What if my equipment falls off? Will the position place potential harm to required control surfaces? Did you speak with an A&P regarding your installation and placement? Will the equipment fall over populated* or unpopulated land? To summarize, with exterior applications you must take into consideration airworthiness requirements, primary and secondary latch points, and lastly — should the worst-case scenario occur — Did you comply with eCFR Title 14 91.15? An example of exterior views here. This view is possibly the most striking view point and has led to the success of companies such as GoPro and trends such as the selfie. This is also one of the most distracting since the equipment is on your person and requires the most attention. This view can be achieved through body mounts, straps, wearing a helmet with a mount and having another person on board taking the photo or video. When dealing with this choice of recording, I encourage every pilot to remember to Aviate. Don’t be distracted from the recording device. Also take into consideration the time you will have this mount on and the comfort level of the harness. If you have the ability to wear the harness without any discomfort for several hours in a seated position during “extreme” heat/cold or changes in temperature, may I suggest you first test your ability outside of the cockpit prior to learning your limitations inside during a flight? The last thing you want midair is to require a wardrobe change due to discomfort. Future Pilots of Instagram, as always, we encourage safe operations for the pilot and crew while taking consideration for the flight path land environment for choosing mounting locations for your equipment. 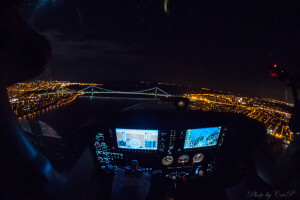 Ideally start with one camera — inside the cockpit first is my best recommendation to limit distractions and become comfortable with your new equipment and its mounting limitations. This entry was posted in AeroMail newsletter. Bookmark the permalink.